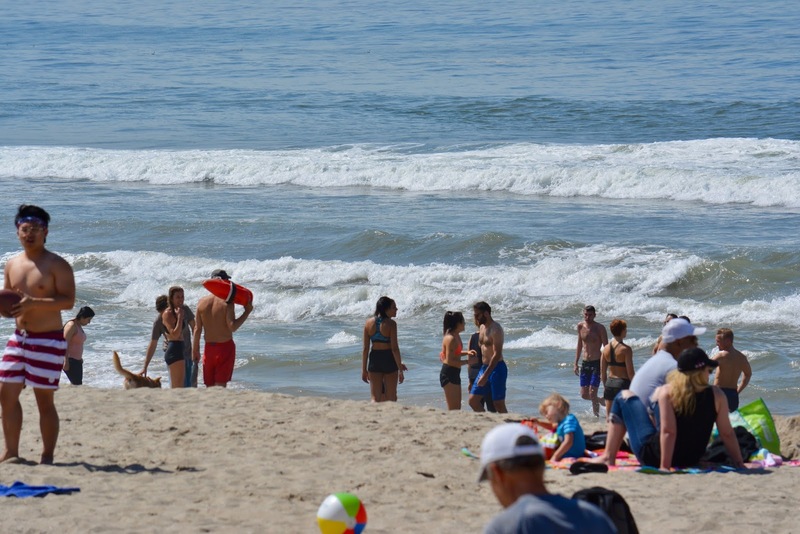 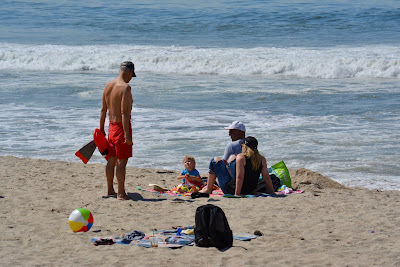 ... and after making like 40 prevents, Chuck makes time to say hello to a young beach goer and his parents. 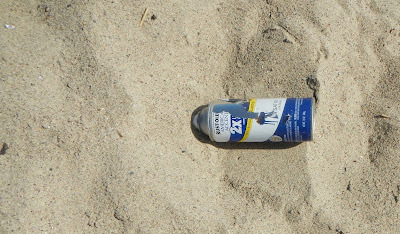 Dateline: Earth Day 2017, Saturday, April 22, 2017. 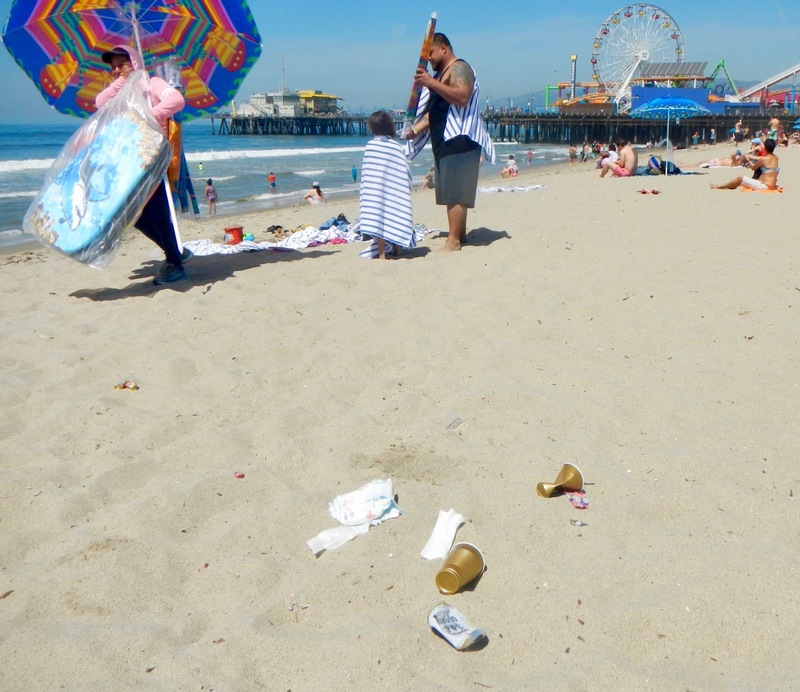 You would think that the City of Santa Monica would devote some of its employees and staff resources to cleaning up the accumulation of #beachtrash near the water's edge today on EARTH DAY 2017... but you would be wrong, unfortunately! 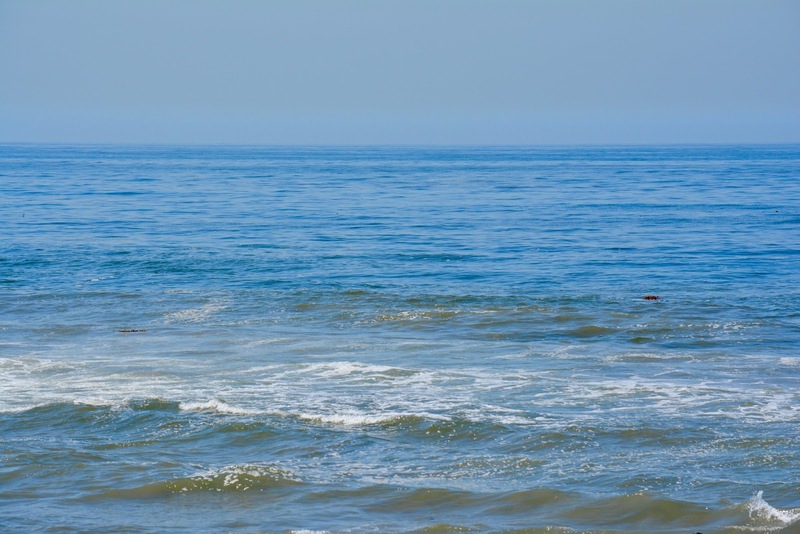 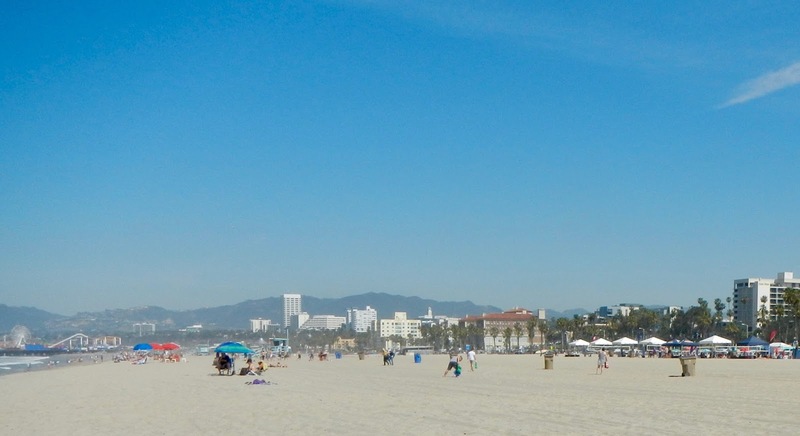 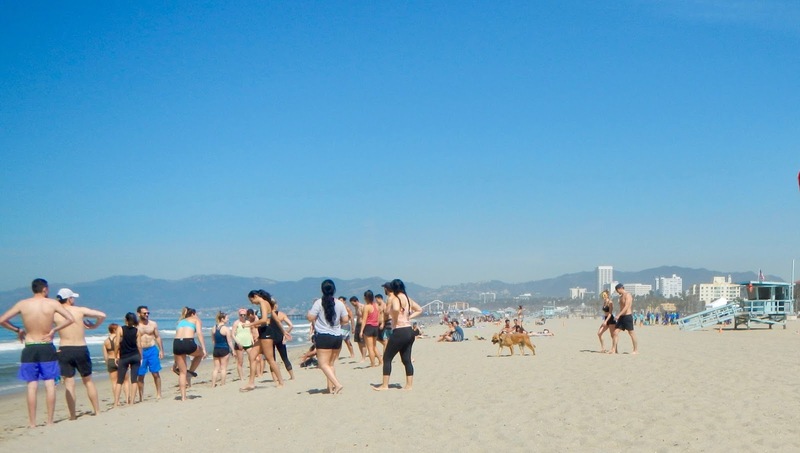 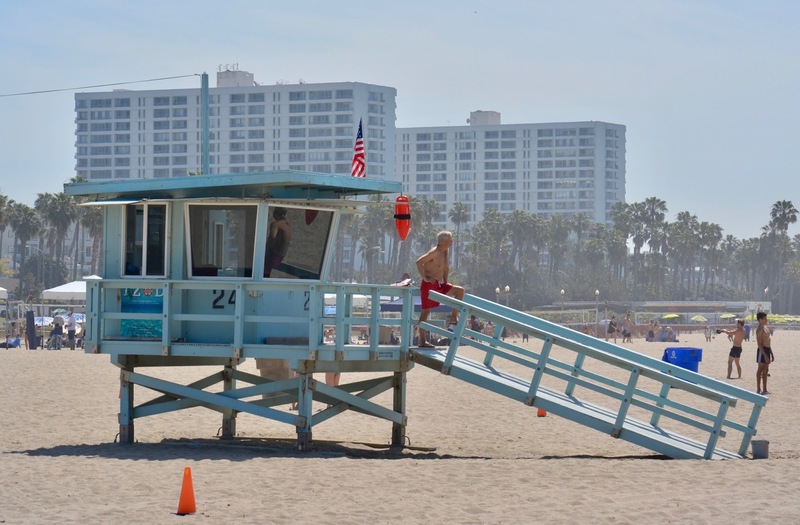 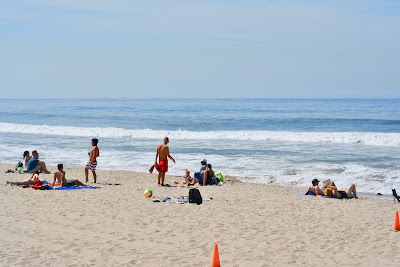 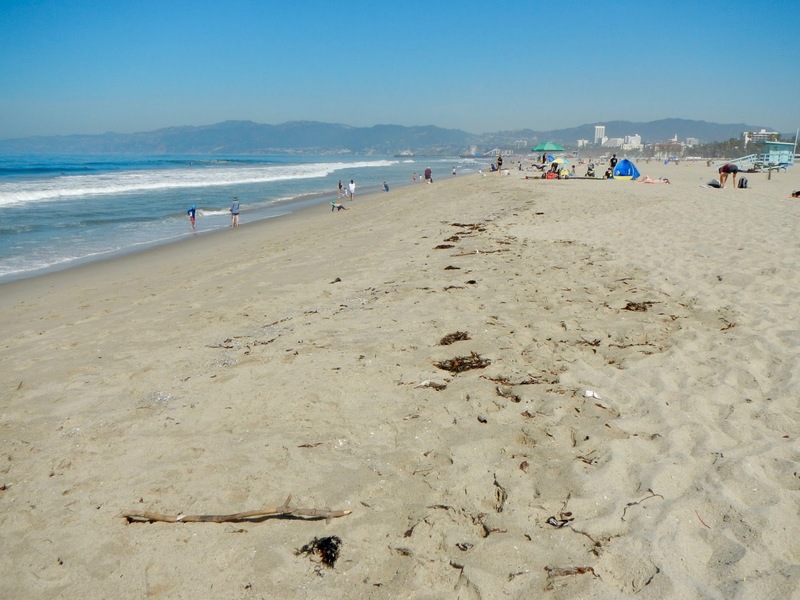 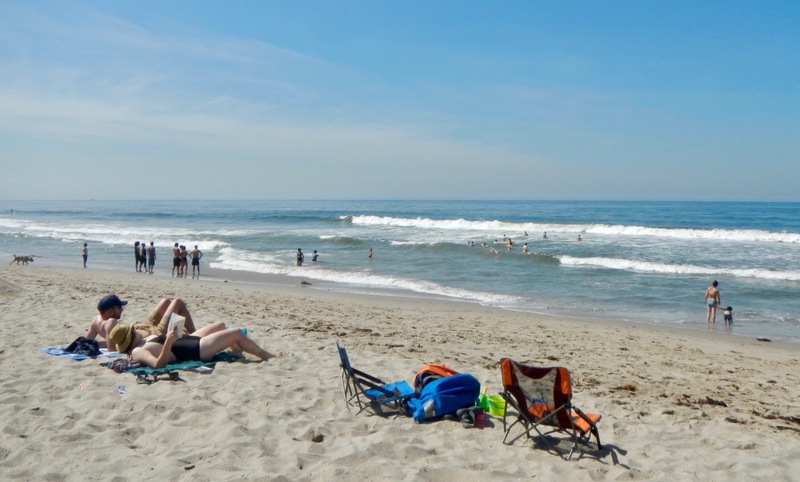 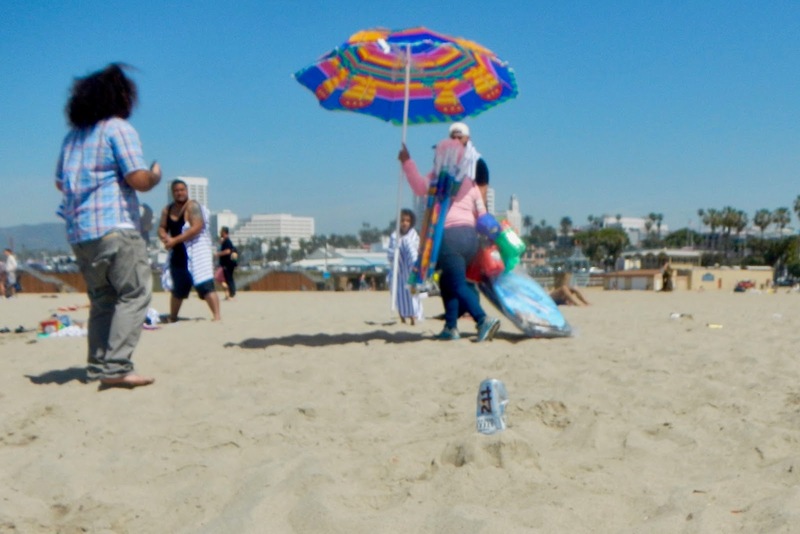 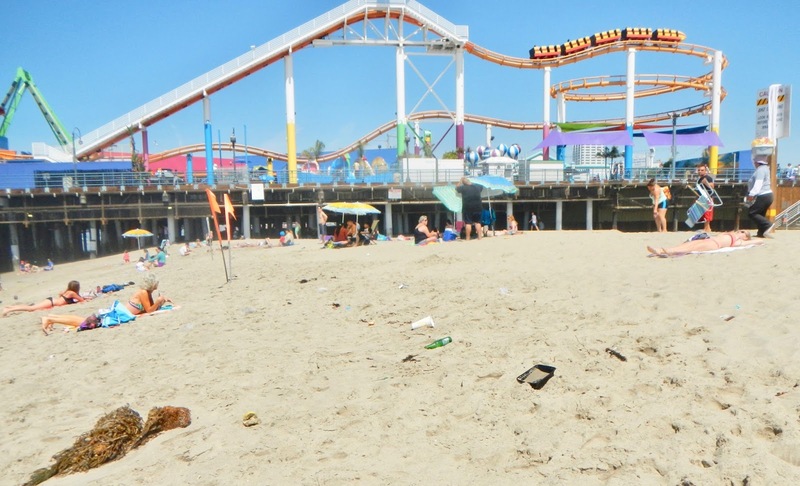 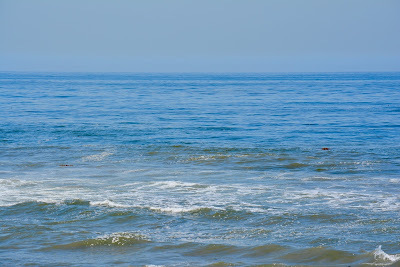 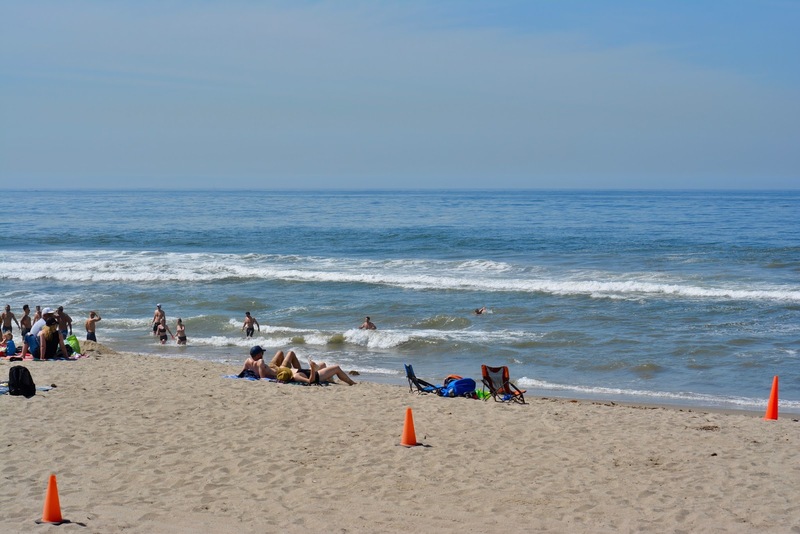 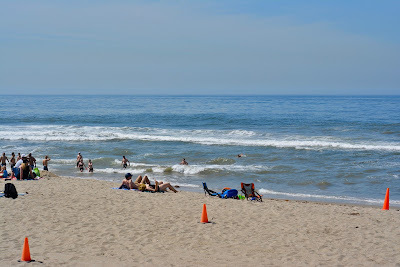 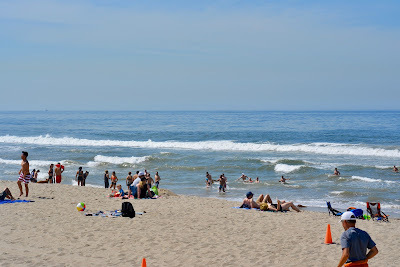 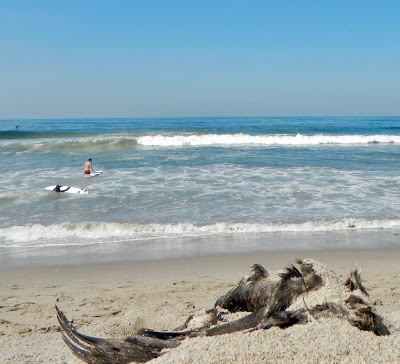 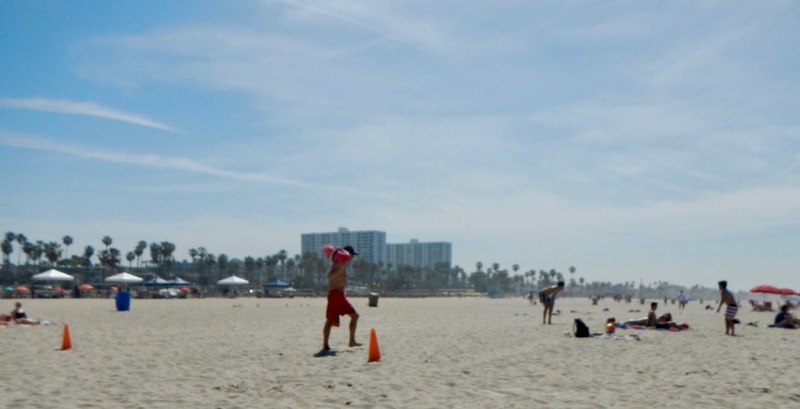 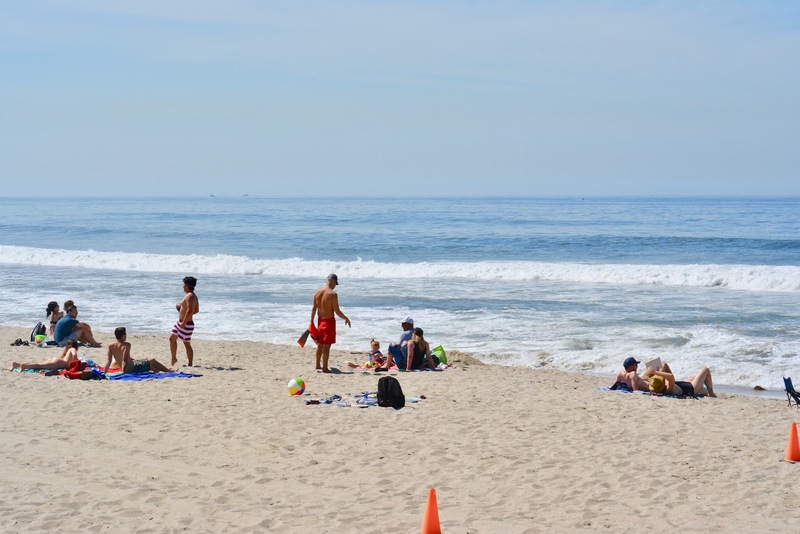 Especially, just south of the world famous Santa Monica Pier, the accumulation of #beachtrash was simply awful today, in spite of the fact that there were a bunch of volunteers out with the Surfrider Foundation picking up #beachtrash in the Ocean Park area. 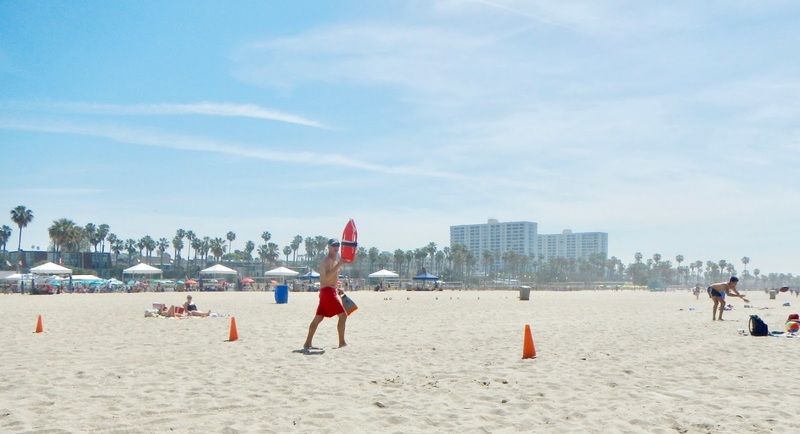 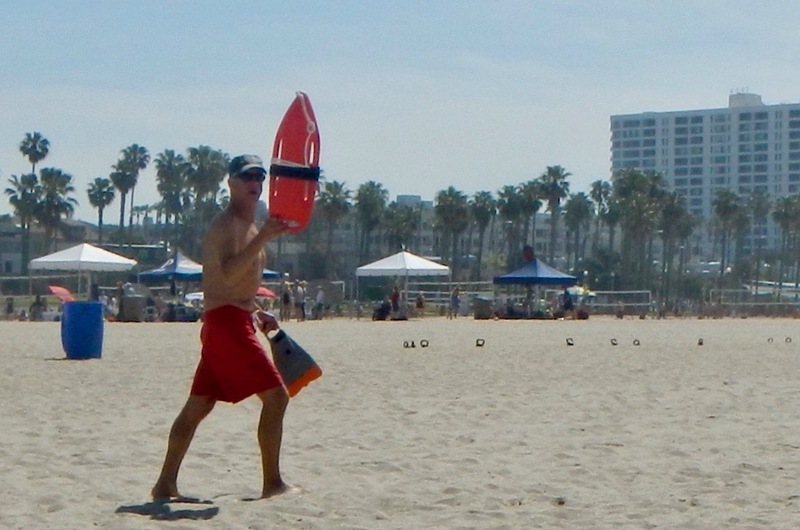 Again, it is citizen volunteers hand picking up #beachtrash near the water's edge without any assistance from anyone apparently working for the City of Santa Monica sanitation department. Here are the photos and video of this disgusting ongoing situation which continues to threaten the public health and safety and which neither the City of Santa Monica or the State of California is apparently concerned enough about to do something about it on either a daily or regular basis. 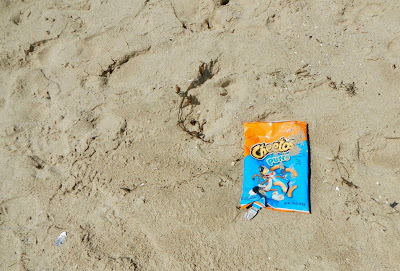 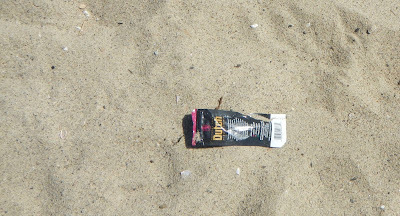 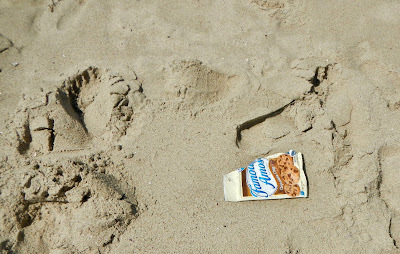 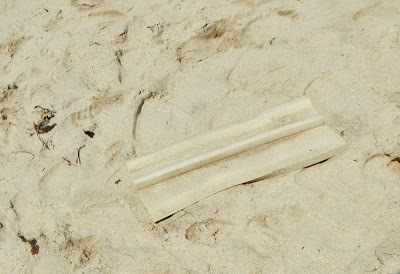 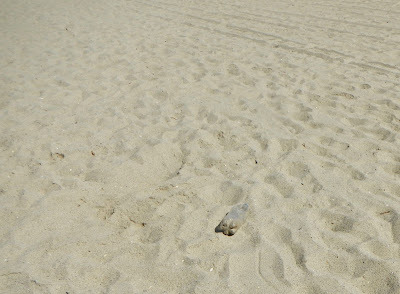 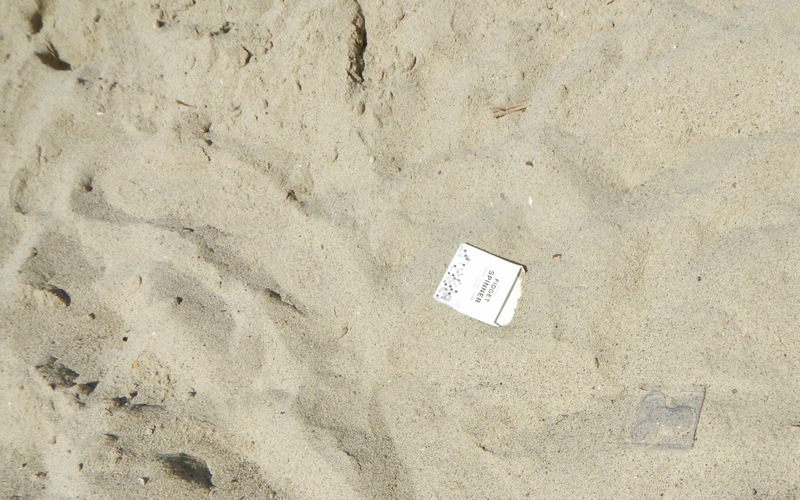 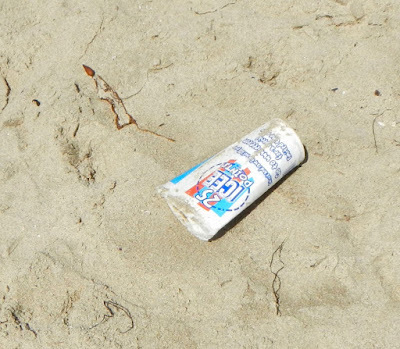 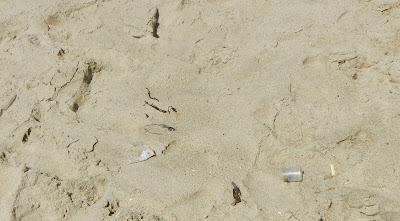 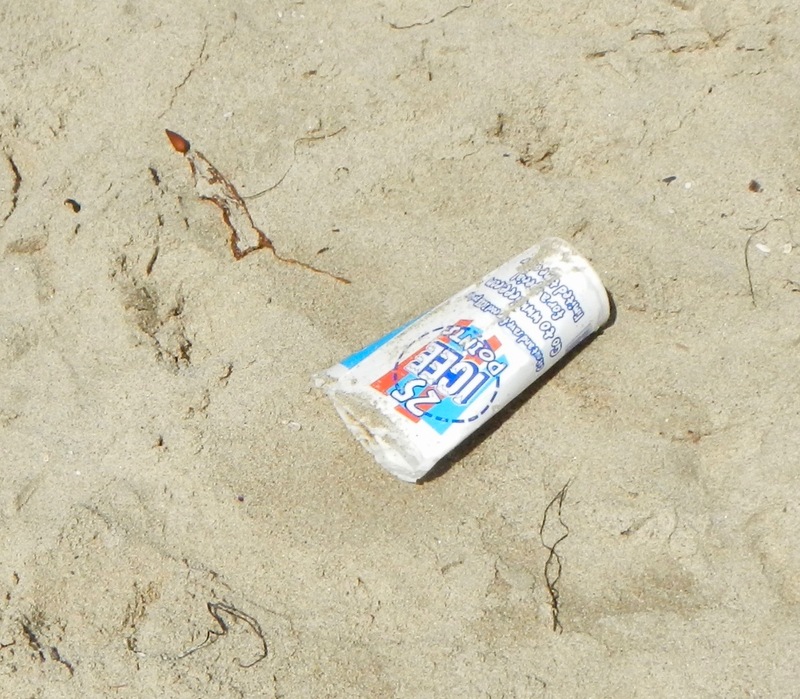 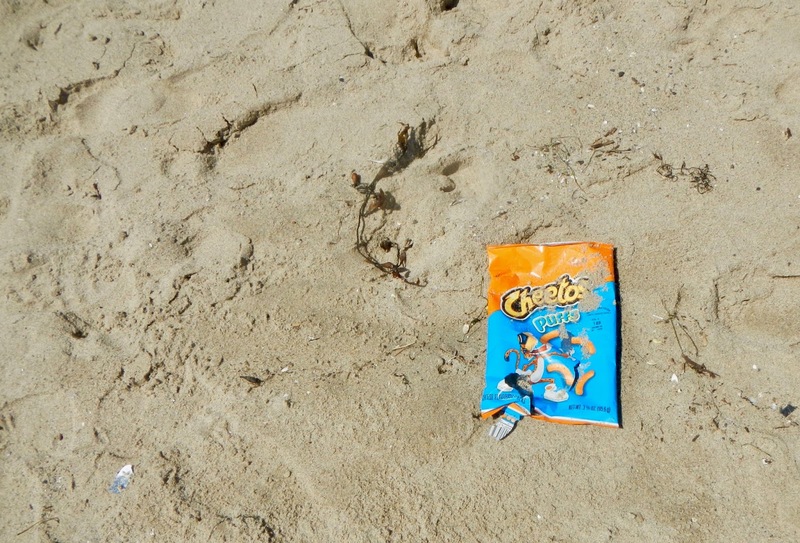 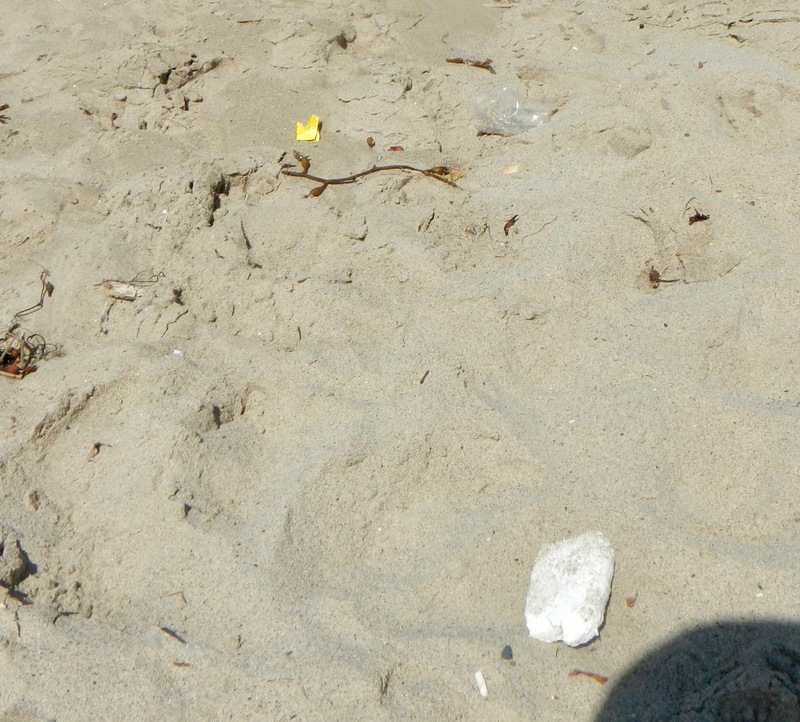 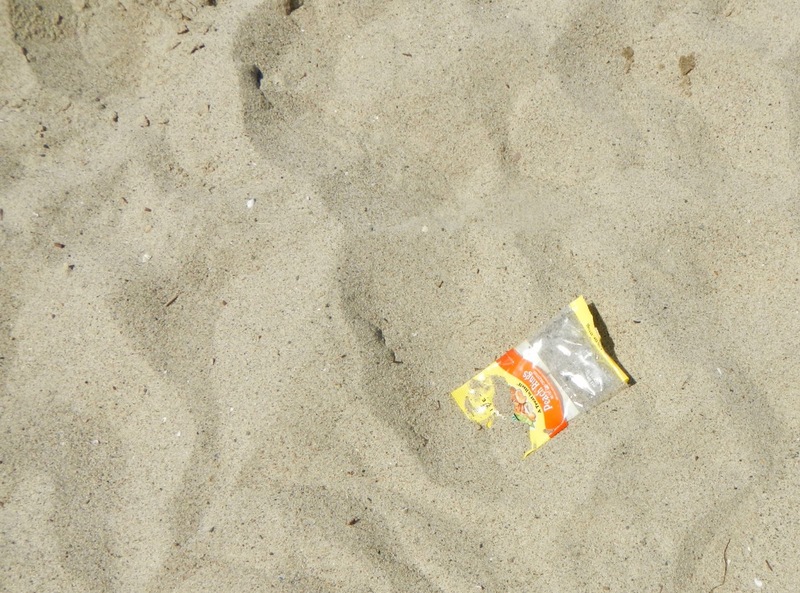 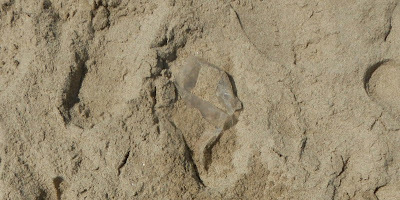 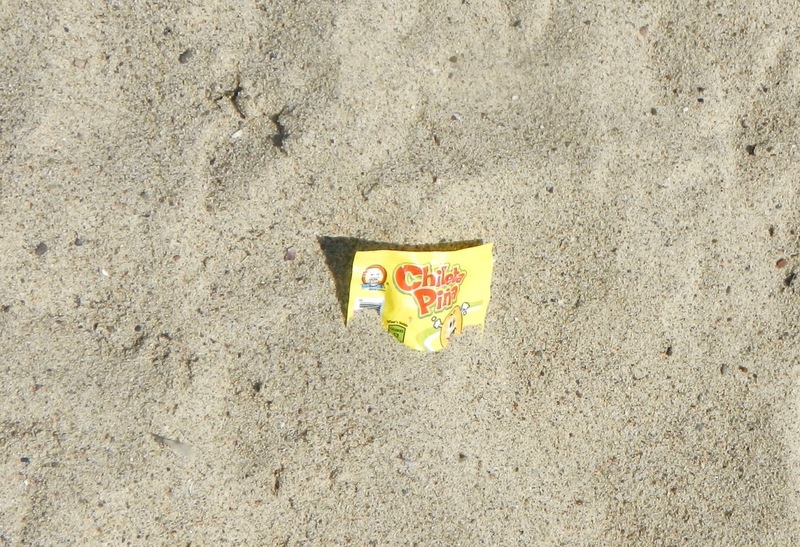 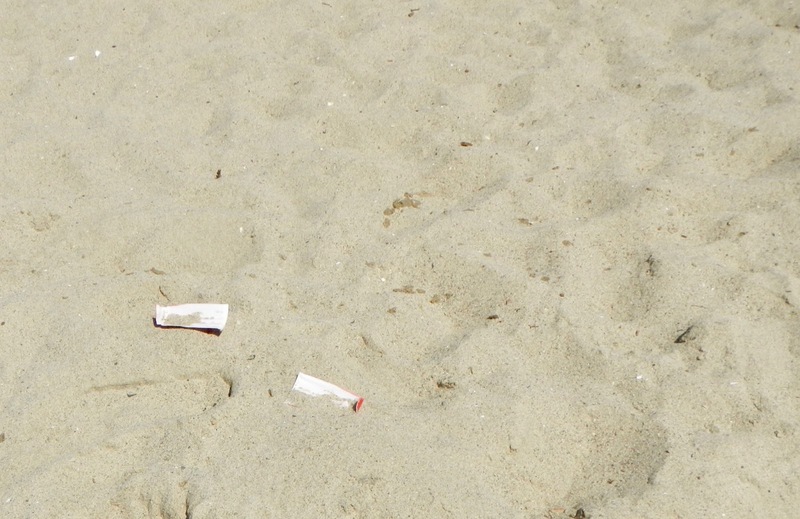 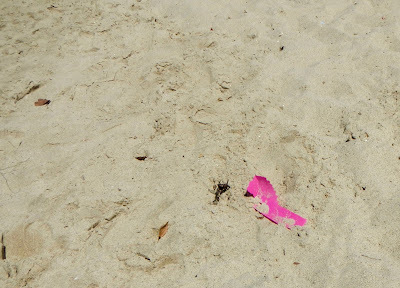 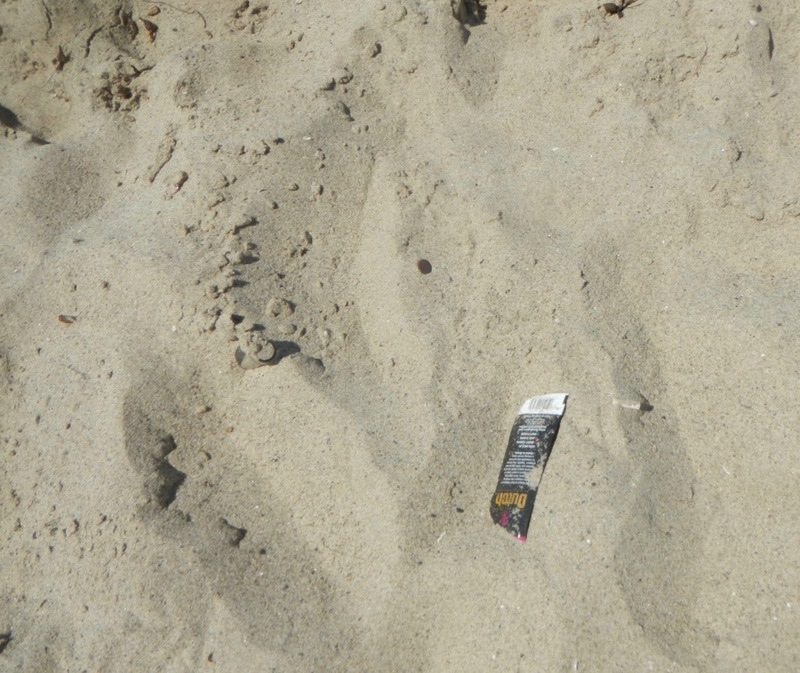 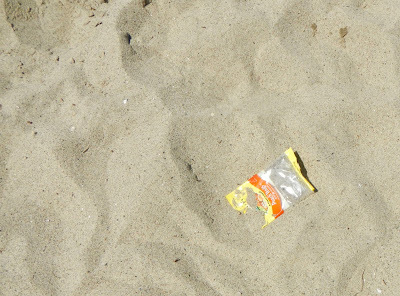 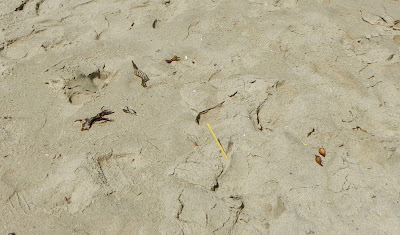 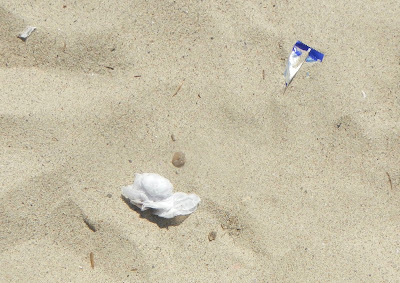 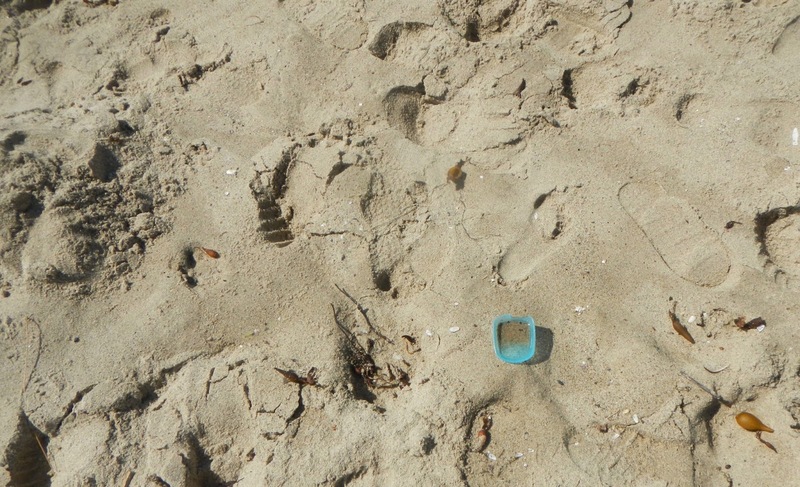 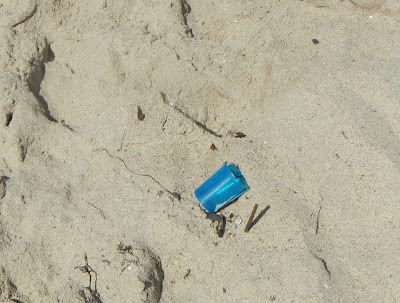 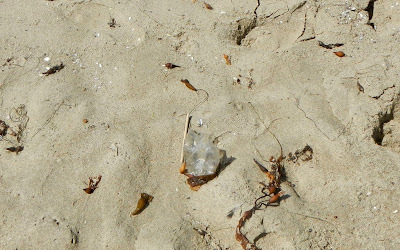 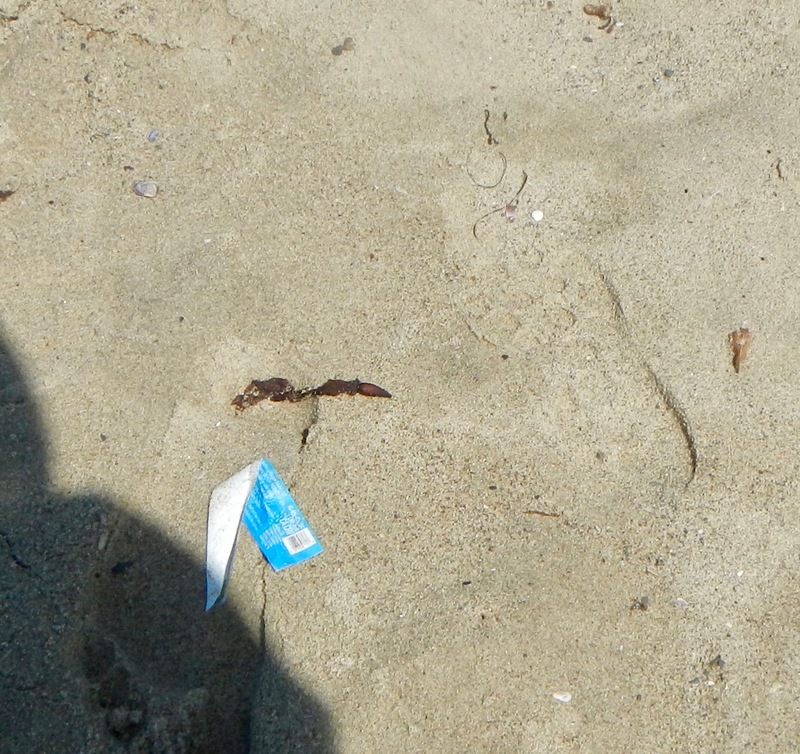 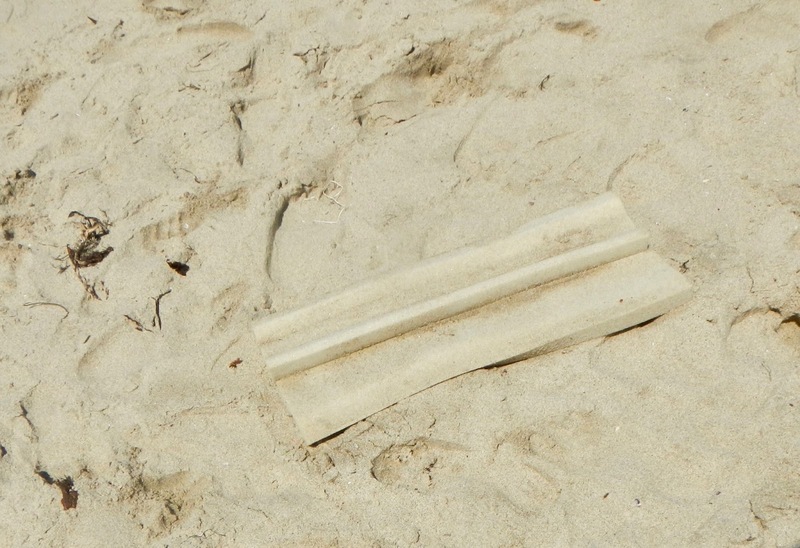 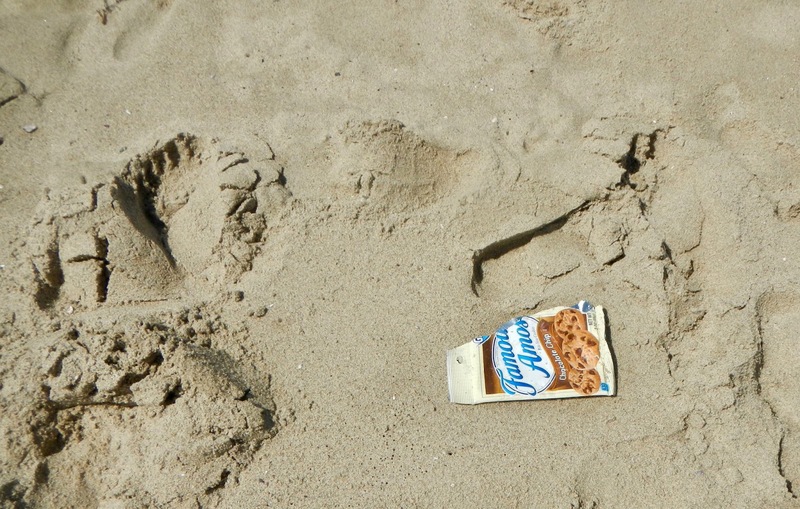 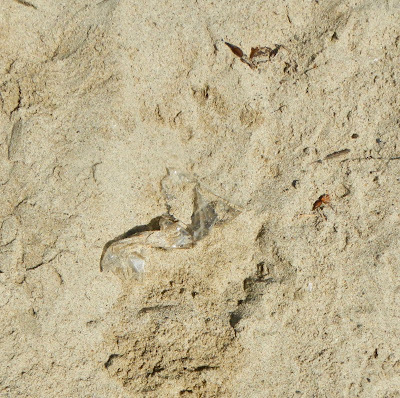 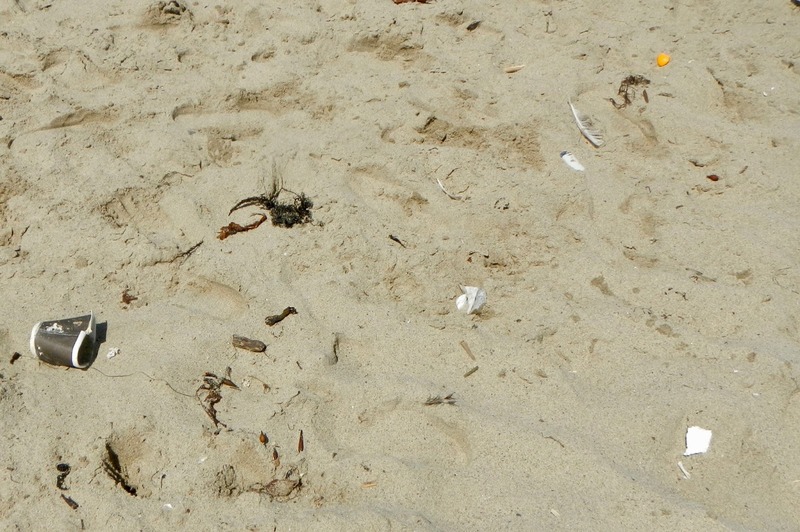 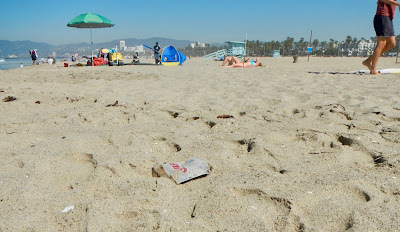 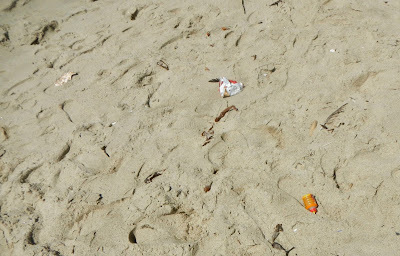 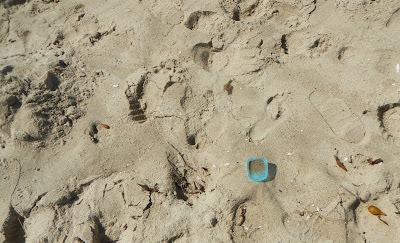 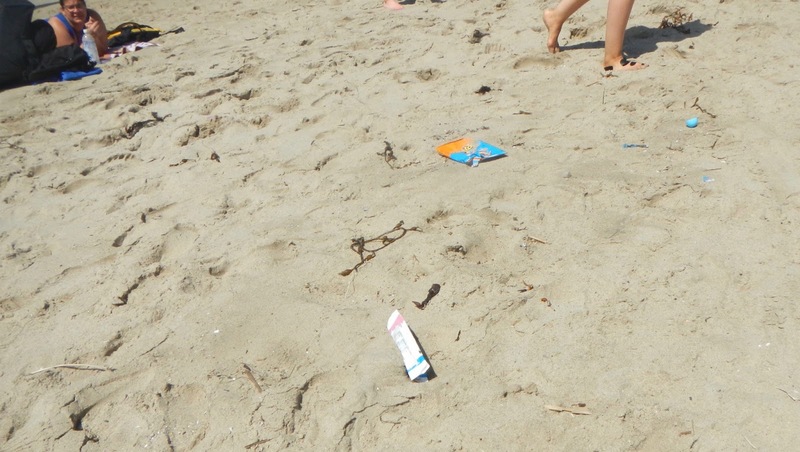 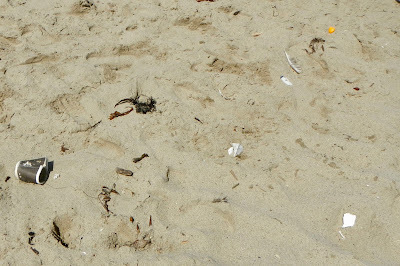 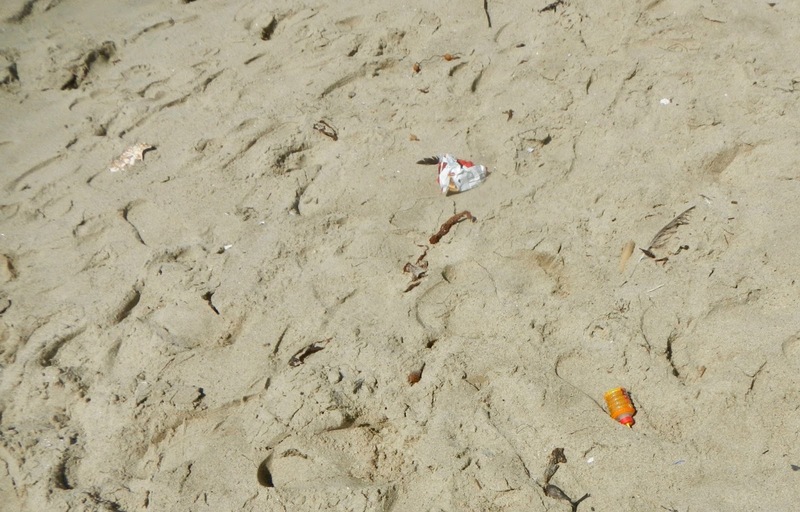 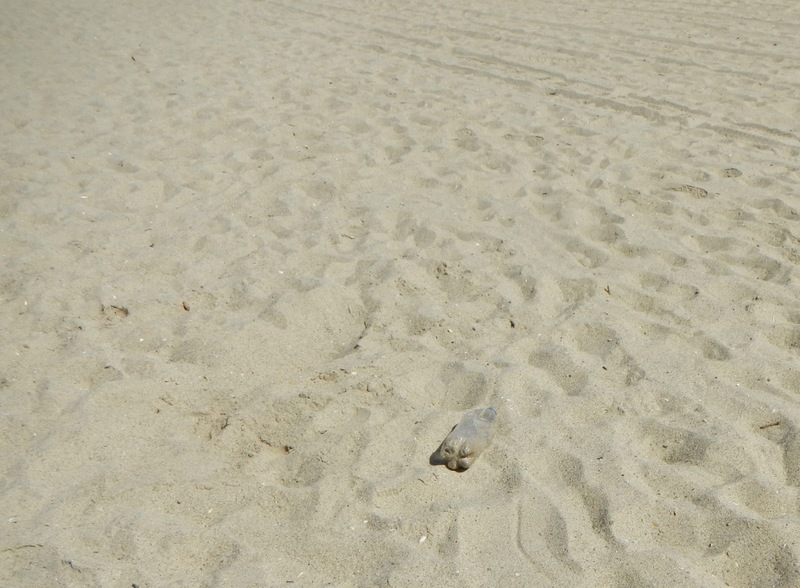 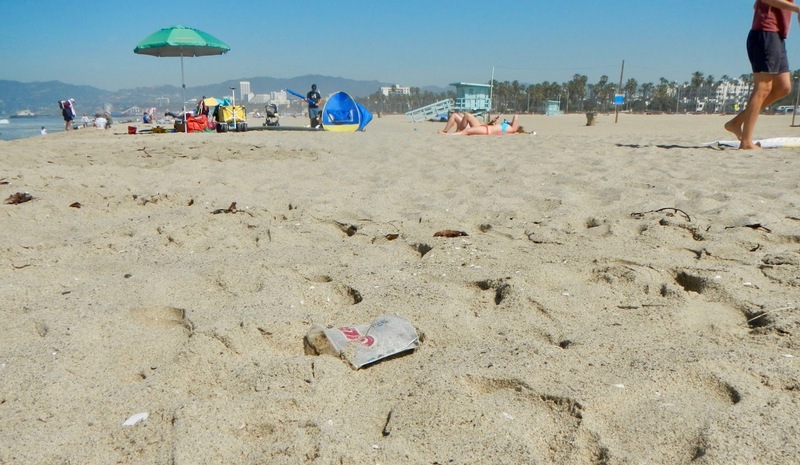 Above and below, the very same discarded pack of PALL MALL® cigarettes is still on the beach that I observed this past Thursday, April 20th, and that I previously included in the last blog post here. 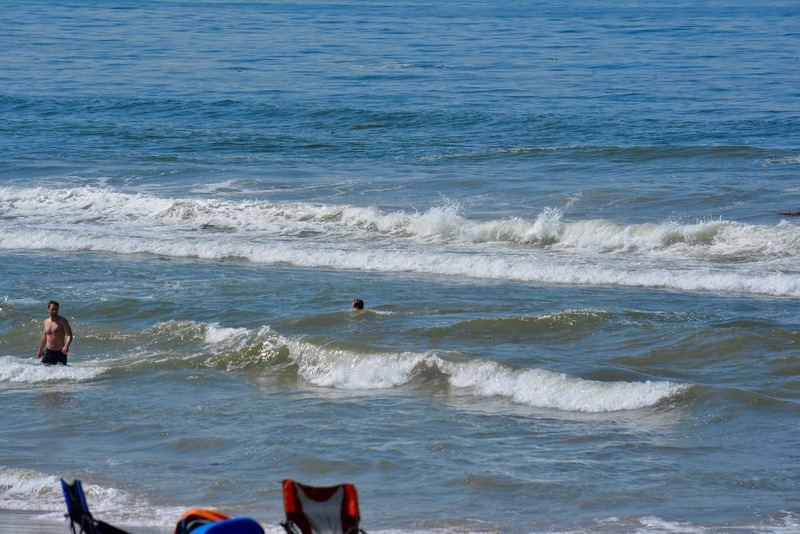 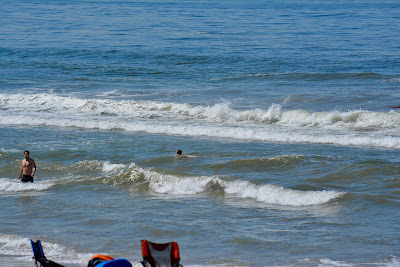 Below, I noticed this lady with the green bag picking up #beachtrash. As mentioned below, she was with a group of volunteers with the Surfrider Foundation picking up #beachtrash in the Ocean Park Area of Santa Monica today. 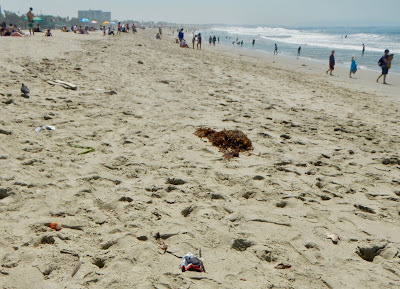 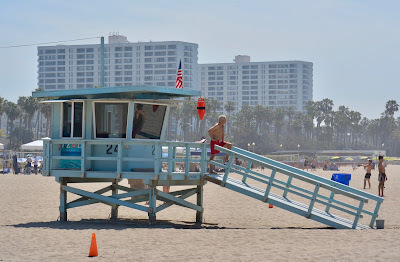 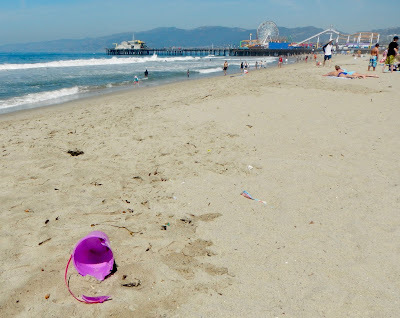 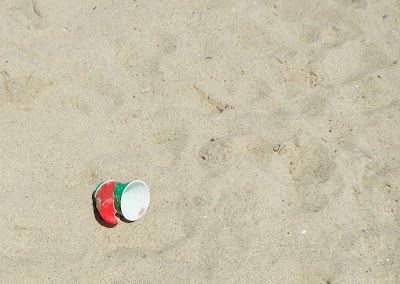 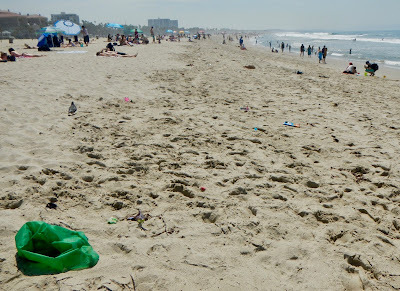 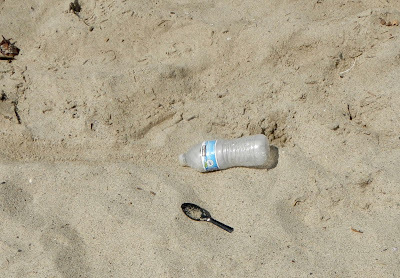 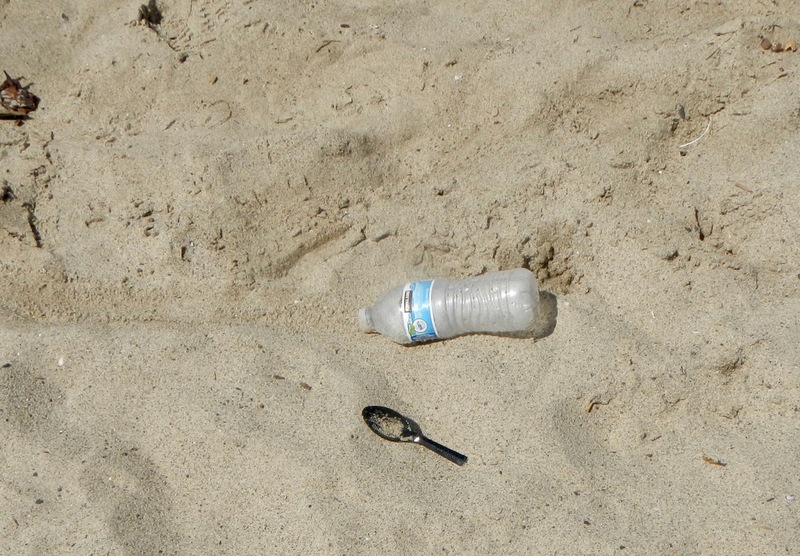 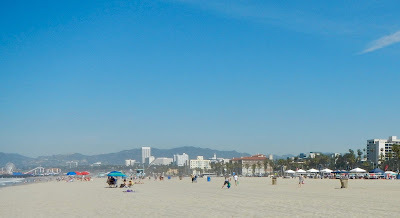 The closer I got to the Santa Monica Pier, however, the more #beachtrash I observed near the water's edge that remains uncollected and/or not disposed of by the City of Santa Monica..... because the City does not assign anyone on either a daily or regular basis to hand pick any of it up. 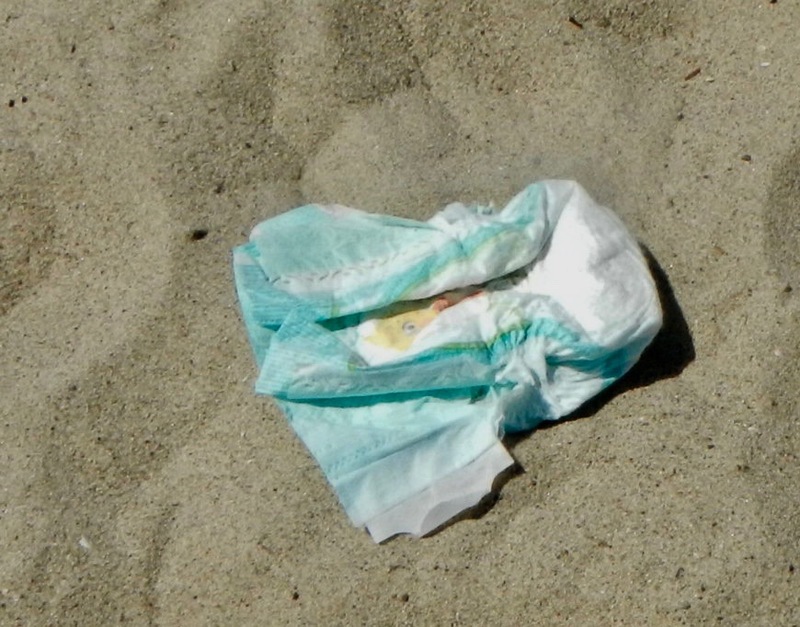 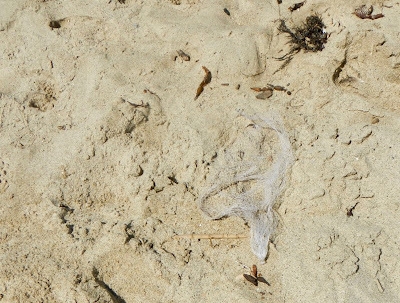 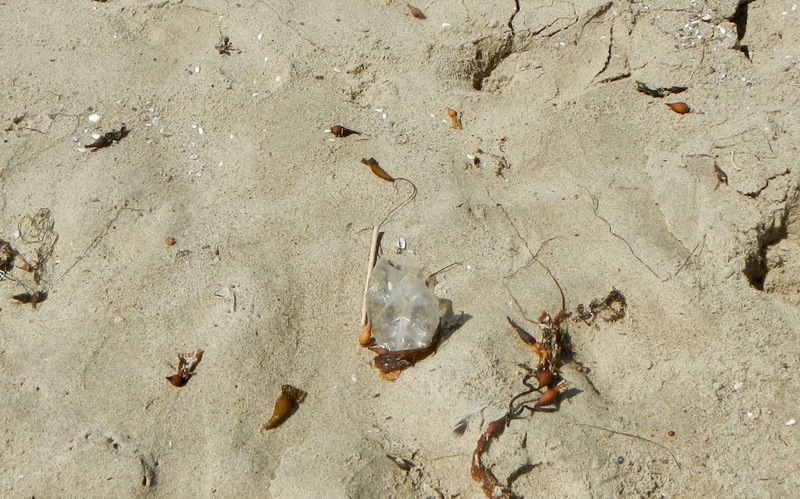 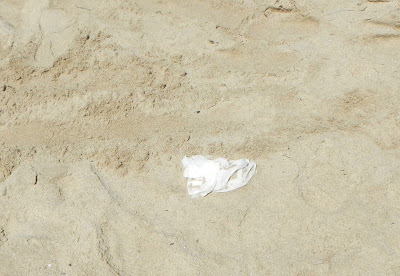 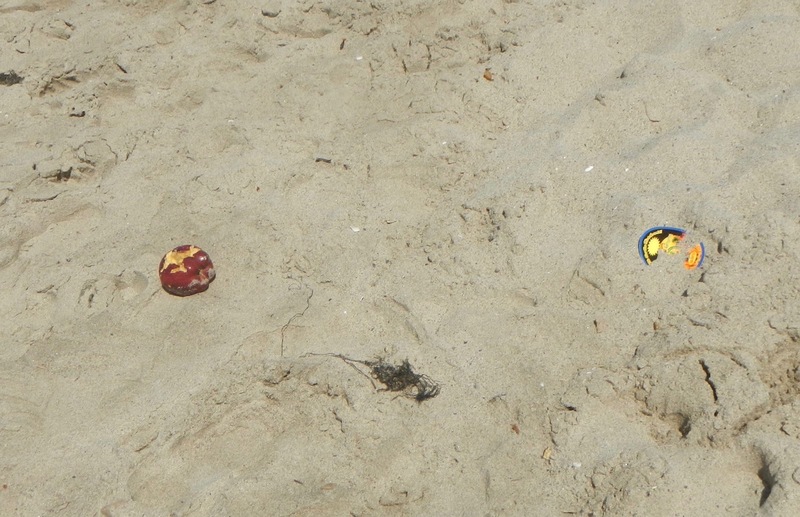 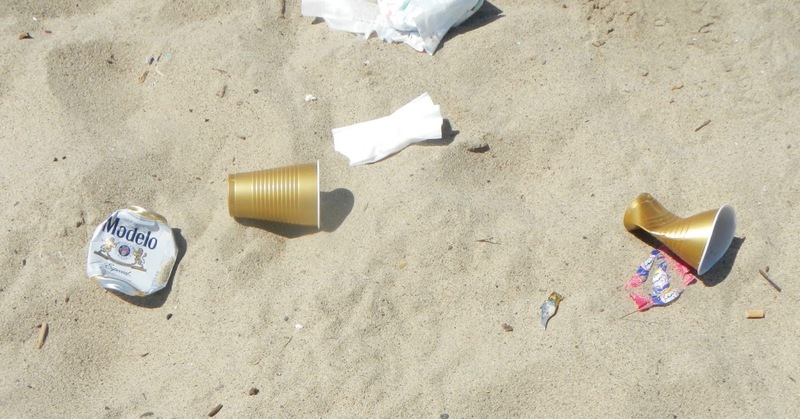 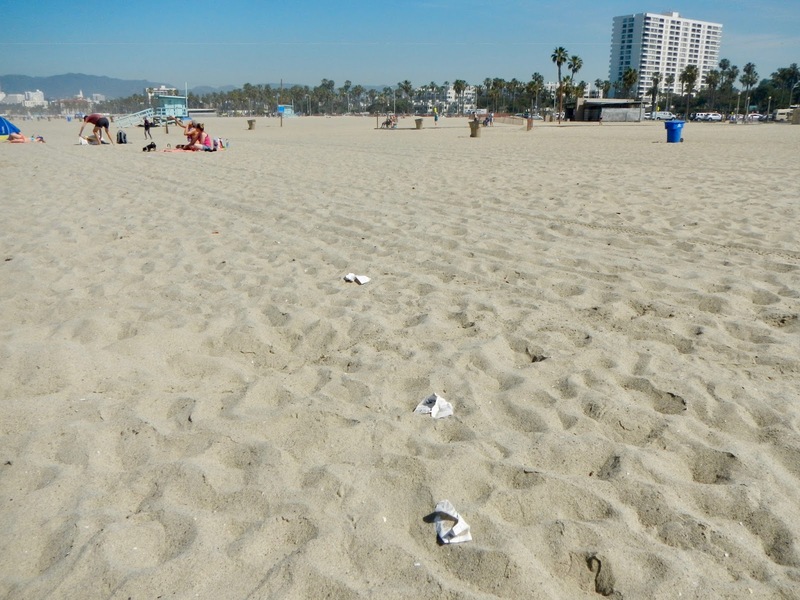 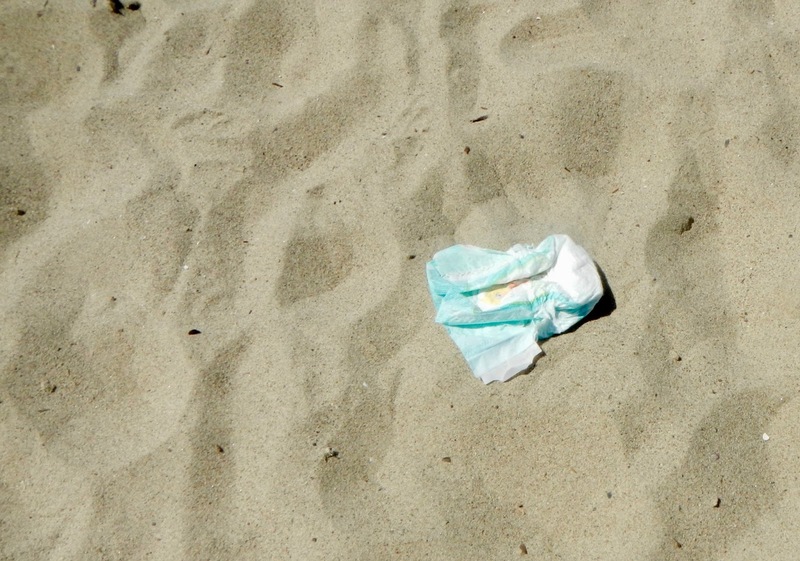 Below, a used and soiled diaper right near the Santa Monica Pier and right next to beach patrons. 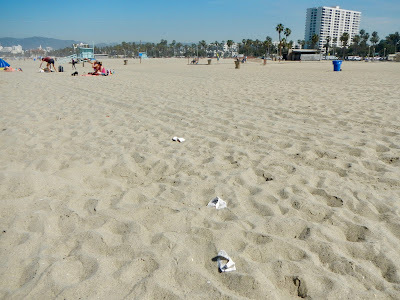 So much for EARTH DAY 2017 along the shoreline in Santa Monica, California... A used and soiled diaper, a dead bird, heaps of #beachtrash and no one from the City of Santa Monica is apparently able to walk near the water's edge and hand pick any of this up. 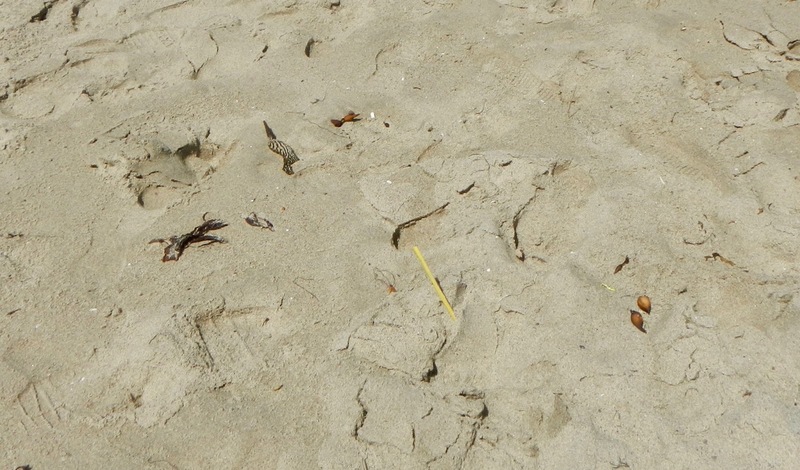 Rare George Freeth Photo Discovered!